* Invitation only classes. Second class required at this level. New student enrollment is open at the beginning of the Fall session and continues through January (Select class enrollment closes and reopens in late December to mid January) call for details. Enrollment closes as each instructor see’s fit per his or her class due to attendance and choreography, studio overall enrollment for the fall session will close the second week in October for holiday choreography. Summer Session is an open enrollment to all students. During these times, students are welcome to attend most classes of appropriate age and request permanent placement for our fall session. 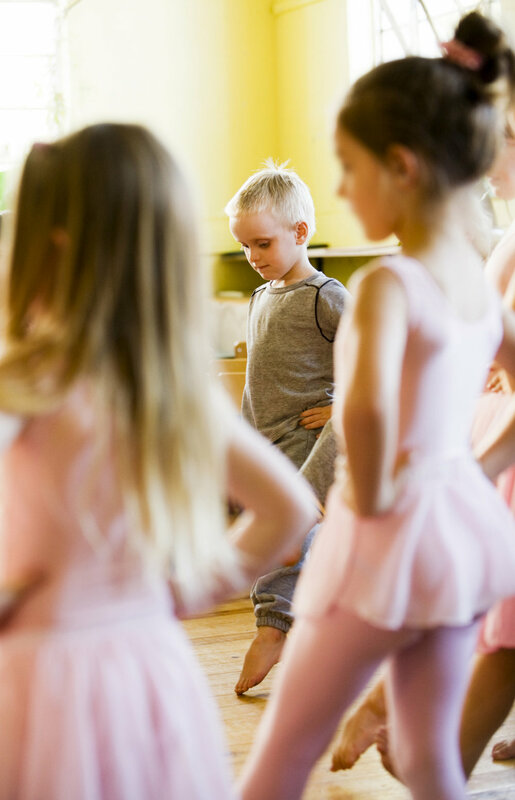 Age and previous dance experience are necessary to evaluate every student. Please give us a call to schedule a student evaluation and appropriate class placement. We offer free placement classes to determine where the student will best excel. Tuition for all classes is due on the 1st of the month and is considered late on the 10th. There will be a $10.00 late fee added to your account for all tuition not paid in full by the 10th of the month. Tuition is based on a 10 month session, payable in 10 equal installments September - June. Please see the calendar on your schedule for holidays and non teaching days. Any other, non-holiday classes missed may be made up in another class, as tuition is NON-REFUNDABLE. If you decide to discontinue your enrollment please notify Napa Valley Dance Center or you will be automatically charged for the additional month. No bills are mailed, so please pay your tuition monthly or in advance. We offer automatic payments. How it works: we will charge your credit or debit card each month at no additional charge. Monthly payments will show up on your statement as Napa Valley Dance Center, cancellation can be made at any time. Enroll in auto-pay, get $10 off your annual registration. Annual Registration Fee: $30.00 per student due at time of registration. ($40 for a family). Family bundle rate: Enroll in 3 classes, get the 4th class for free. This applies to single or multiple students with-in the same family. We offer Adult Tap classes at beginner to advanced levels, all classes taught by Sandra Nugent. Please check back in from time to time as our class schedule changes twice a year as we offer a fall and summer schedule. Attendance: We encourage all students to make-up absences with an ability appropriate class (see teacher to schedule make-up classes). Any student missing 3 classes in succession or 6 times in a session will jeopardize their placement in that class. Any student arriving 15 minutes late will be noted and parents will be notified. Any student arriving unprepared or refusing to comply with classroom rules will be asked to leave. In the Classroom: No food, no gum and no soft drinks allowed in the classroom (water OK). Proper dance clothes and shoes are required for all dance classes. Proper dance attire is listed below. Hair should be neatly secured up so that it is not a distraction in class. Ballet: Pink tights, solid color leotard, ballet skirt, and ballet shoes. Hair secured in a ponytail, bun, or French braid (off your face). Jazz & Tap: Dance pants or shorts, fitted top or leotard. No street clothes such as sweat shirts, jeans, baggy pants, baggy shorts. Tap or Jazz shoes required. Hair secured in ponytail, bun, or French braid. Boys: Athletic shorts or pants, t-shirts. No street clothes such as baggy pants, sweatshirts, jeans, etc. Appropriate dance shoes required.